Ma On Shan 馬鞍山 is a saddle-shaped peak in east of Tolo Harbour in the New Territories of Hong Kong. 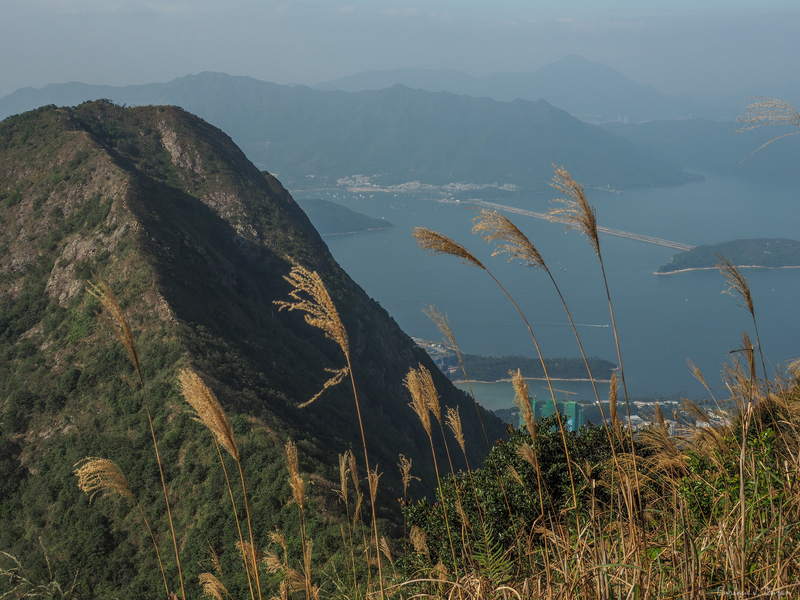 With a height of 702 metres, it stands among the ten highest mountains in Hong Kong. The mountain borders Sha Tin and Tai Po districts. Recommended for this hike a comfortable shoes with good grip, sun block, a lot of water and long pants. To get there take MTR to Ma On Shan Station exit B. The fastest way is to take a taxi from there to the BBQ site. Walk up to the BBQ site from MTR will take more than an hour and is all way up. Save energy for this hike would be essential. Family Walk > Tiu Shau Ngam > 馬鞍山(馬鞍頭) > MacLehose Trail sec. 4 > Ngong Ping viewpoint > Ma On Shan Country trail > Tai Shui Tseng > Walk to Sai Kung Pier & take a bus back. The highest peak is not so tough as the first peaks. 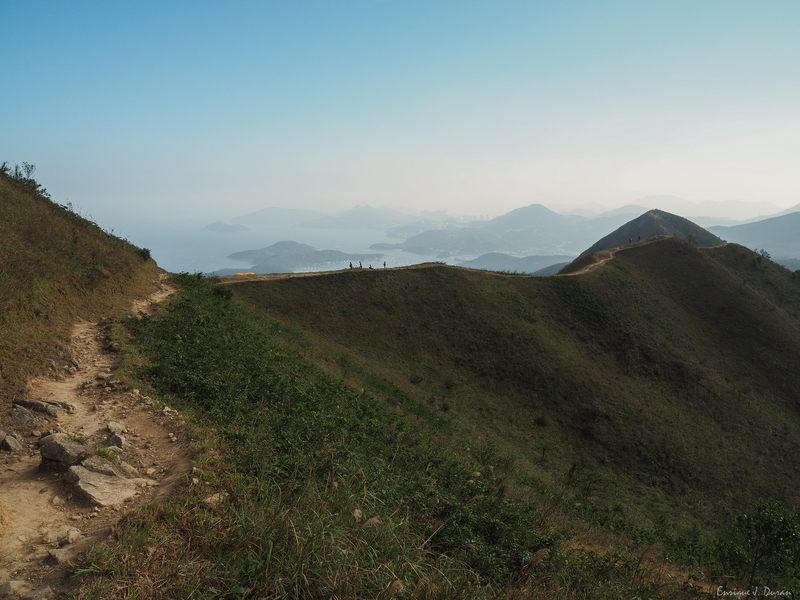 The views of Sai Kung on the left side encourage you to the summit. The way down is through MacLehose Trail sec. 4. The views along the trail are simply gorgeous. From this point to Tai Shui Tseng is all way down and just need to follow the indications.